on Wednesday, 22 February 2017, 6.00 – 7.30 p.m. The recent outbreak of violence in Eastern Ukraine made clear that this conflict will remain one of the most important challenges for the OSCE. The main task is to prevent further escalation and to push for the implementation of the Minsk Agreements. In a broader perspective, it is essential to rebuild trust in the OSCE and between its member states so that the largest pan-European security organisation will be able to play the role that it is assigned for. The Austrian Chairmanship is confronted with these manifold challenges. But what can be expected realistically within the next few months? What can the OSCE Parliamentary Assembly contribute to minimize tensions between member states and to reestablish cooperation and trust between members? Stephanie Fenkart (Director of the International Institute for Peace, IIP, Vienna) opened the panel discussion by describing the many challenges the Organisation for Security and Cooperation in Europe has to face: armed conflicts, refugee crisis, terrorism, radicalization etc. The OSCE needs to restore the indivisibility of security in Europe and to revitalise the trust among the 57 member states. To which extent and how can the OSCE Parliamentary Assembly play a role in such a challenging environment? Christine Muttonen (President of the OSCE Parliamentary Assembly; Member of the Austrian National Council, SPÖ) admitted that 2017 may be regarded as a crucial year for the organisation. 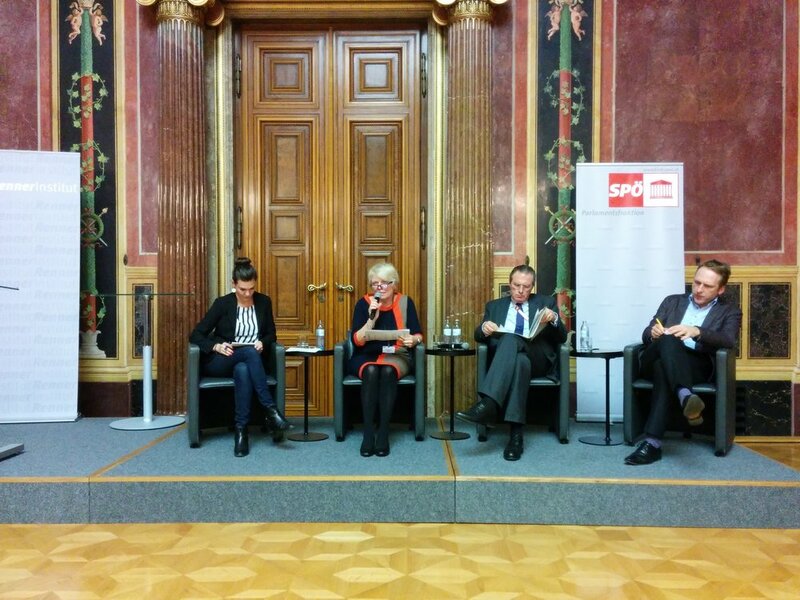 This also means that the Austrian chairmanship will face complex challenges. Since the crises in Georgia (2008) and in Ukraine (2014), several international fundamental laws and principles have been ignored and violated. A short analysis of the current rhetoric used during high level meetings shows that tensions, conflicts and rearmament are topics more often discussed than appeasement, negotiations and disarmament. According to Muttonen, this shift was clearly visible at the debates at the NATO Parliamentary Assembly´s annual session in November 2016. Another key aspect of the current context is an overwhelming loss of trust and therefore a growing lack of communication. The Austrian Chair for 2017 has put the need to restore trust as one of its top priorities, and many initiatives should aim in this direction and especially deal with the topic of arms control. Muttonen moved on to the role of the OSCE Parliamentary Assembly. It may bring a substantial support to the Chairmanship in establishing a better and faster communication. Muttonen insisted on two points: first, Parliamentarians must have the opportunity to meet their counterparts and to discuss and find compromises together. Second, in the context of conflict or tensions, they must be able to maintain a dialogue and to improve understanding of the other side. Members of the PA can organise informal meetings. Parliaments are a good place for a first contact and a great opportunity to share different points of view. Finally, Muttonen repeated that Austria played a special role in 2017. Apart from the fact that it hosts OSCE headquarters, the President of the PA and the Chairman-In-Office are both Austrians: this is a great opportunity to develop a good and close communication between the different services and to strengthen joint messages for achieving better results. Stephanie Fenkart stated that the international context related to many crises and the difficulty for the OSCE to move beyond the status quo posed a major challenge. What steps might be taken under these circumstances in order to improve the situation and to re-establish trust among the 57? To begin with, Vedran Dzihic (Austrian Institute for International Affairs – OIIP, Vienna) highlighted that trust within the OSCE had been challenged and damaged. Nevertheless, the organisation must assume its daily business, even if several crises give rise to a blocking position, in particular between the Russian Federation and western countries, especially when it comes to the situation in Eastern-Ukraine. Crises represent a great chance to rethink the principles and modus operandi of the organisation. Nevertheless, several fundamental questions remain on the table: Can we restore trust if dialogue and trust are not wanted? How is it possible to manage the drift from the liberal order associated with the 1990 Paris Charta to a new global order in which authoritarianism and even illiberalism are praised? Finally, Dzihic briefly mentioned the Austrian Chairmanship which occurs in a challenging time. 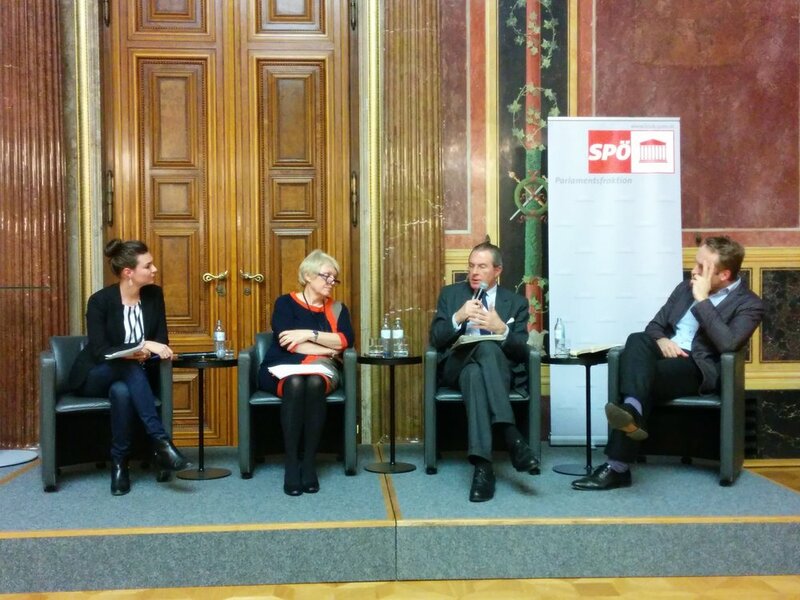 Modesty and honesty should be two major principles if Austria wants to succeed. The link with civil society is another key aspect of the OSCE soft power and therefore the Chair must consider and engage civic movements better. Clemens Koja (Permanent Representative of Austria to the OSCE) totally agreed with the double principle of honesty and modesty in the sense that a chairmanship represents “an honest broker” and should be at the service of the 57 member states. It is clear that Austria has to assume the Chairmanship during an era of crises but that is the reason why the organisation exists. Ambassador Koja mentions the top priorities for 2017: the management of existing conflicts; the fight against terrorism and radicalization, and the need to restore trust and to improve dialogue. 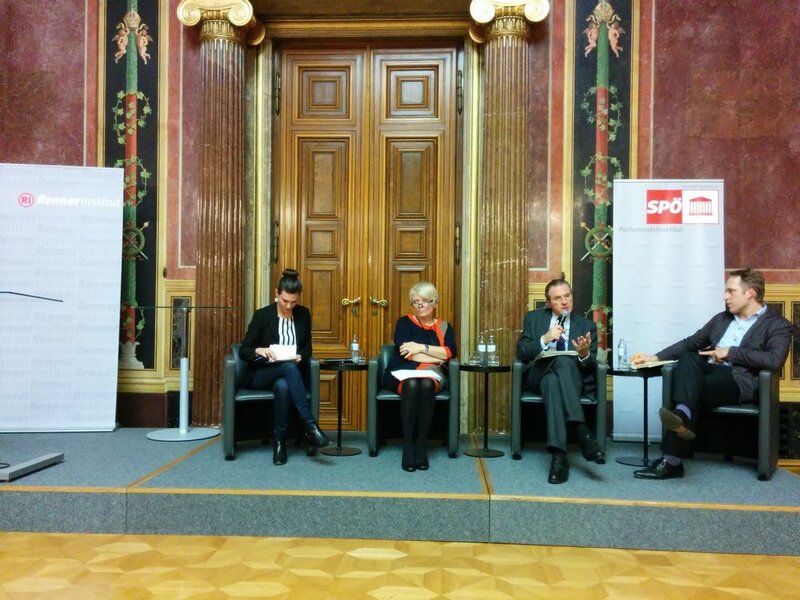 The Austrian Chair will give its full support to OSCE institutions and field missions. The cooperation with the Parliamentarian Assembly is extremely important, and the fact that the President of the PA and the Chairman-In-Office are coincidentally held by the same country is a great opportunity. Challenges are not only related to the international context, but they concern some internal debates about the OSCE budget, renews of mandates and appointments. 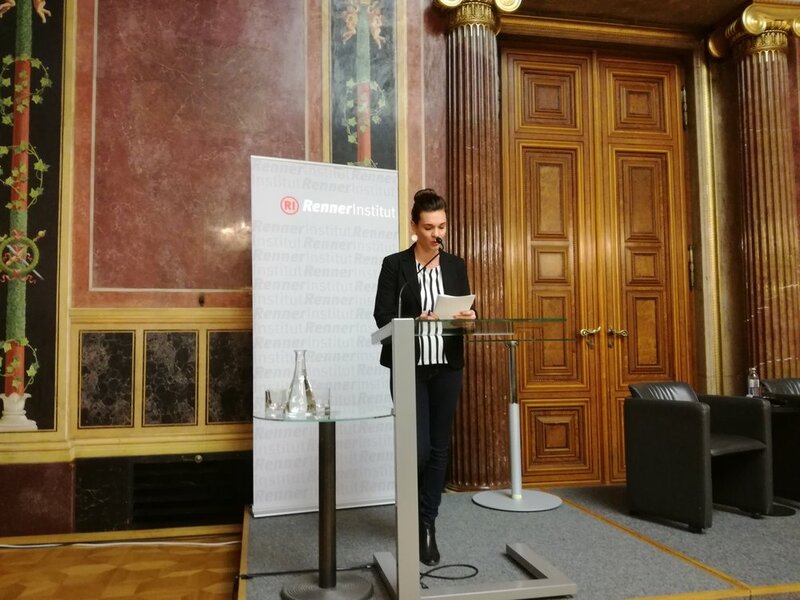 Doris Barnett (Treasurer of the OSCE Parliamentary Assembly; Member of the German Bundestag) said that we have to learn from history and to use lessons from the past in order to consider a better future. For example, the OSCE may learn from the reconciliation between France and Germany after the Second World War in order to improve the current relationship between Ukraine and the Russian Federation. As a member of the PA, Ms Barnett insisted on the role played by Parliamentarians who can meet their counterparts and talk to each other – also informally –, whereas heads of state and governments do not have such a constructive opportunity. Such informal meetings and seminars illustrate the soft power of the OSCE, although recommendations during official meetings are more related to hard power. In the discussion with the audience, one of the main issues was the fact that today, the OSCE is challenged because the normative consensus on a liberal order which prevailed in the 1990s seems to be lost. If a better dialogue is needed among the 57 member states, there is still a fundamental problem that must be solved, namely the difficulty for the Organisation to agree on common principles or norms. Dzihic urged the OSCE to reconsider the work of Jürgen Habermas in order to draw a line between openness and closeness, liberalism and authoritarianism; in other words, norms should be clearly redefined. In addition, the system of cooperative security is questioned by a political shift from legislative to executive power. For example, in Hungary or Turkey, we can notice the diminishing role played by parliamentary chambers and an increasing influence of governments and heads of State. Koja admitted that the principles and norms formulated during the Helsinki Accords are strongly challenged, but it is our duty to defend them and to consider them as “acquis”. Barnett stated that the OSCE PA is the right place to have a first contact, to bring people together despite tensions and to understand and respect differing statements. If we want the common system of comprehensive security in Europe to be stable and effective also in the current situation, we need to invite Russian representatives and diplomats to hold a constructive dialogue.